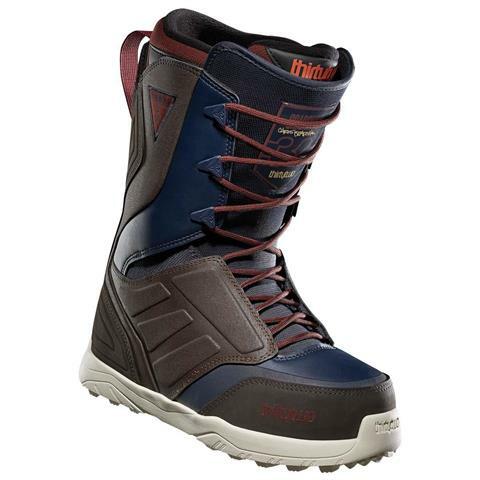 Change the whole mountain with this all-purpose boot. Synonymous with perfect fit and flex the Lashed is the #1 selling boot world wide. Wrap your forefeet with the Independent Eyestay and flex with ease, thanks to the articulated cuff, eliminating shell distortion. The Performance Backstay maintains support while the new Team Fit Liners ensures you ride comfortably all winter long. And fly higher with the lightweight and durable Evolution Foam outsole. Great boot, fits true to size has a great flex to it. Feels like your wearing normal shoes, comfortable insole. True to size, very comfortable, the flex just what I am looking for. looking forward to enjoy this winter with my new boots! Great fit true to size, great performance and medium flex make this boot totally Bradshaw!